I always loved frog prince stories when I was a little girl! Thank you for including my frog mask! 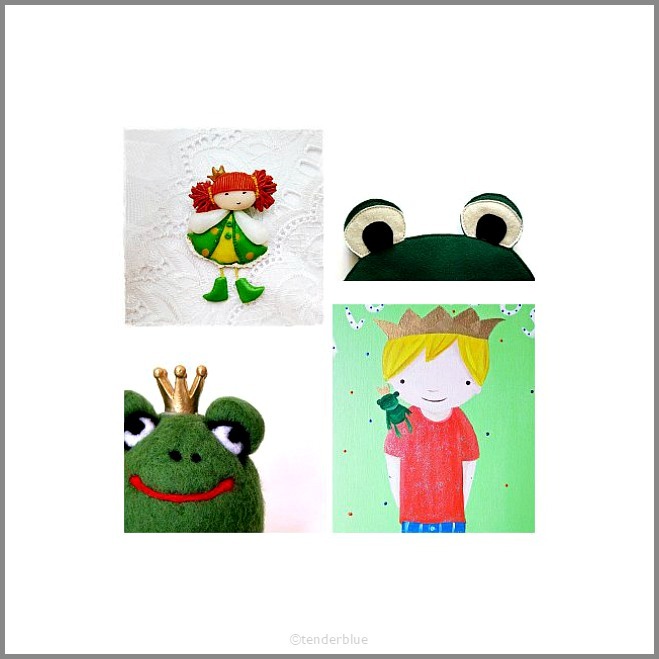 Lovely frog and princess finds! oh this is too cute!! great moodboard! How cute! Have a great week and a lovely Easter!